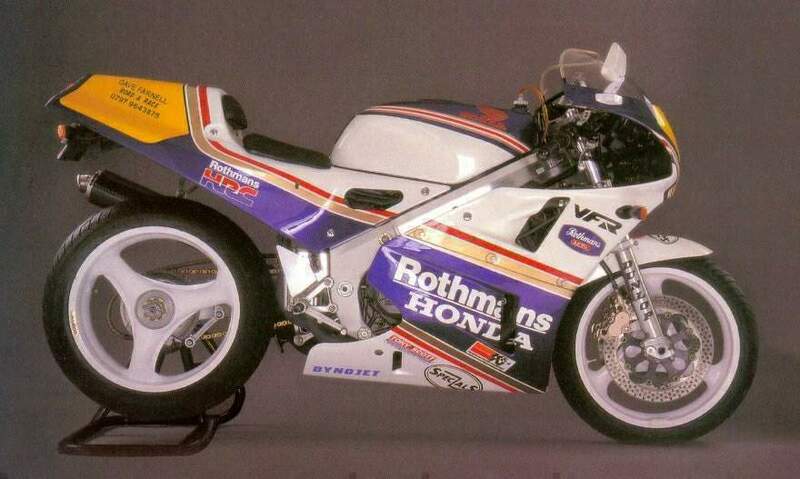 "Out of the box" the machine was claimed to generate 112bhp with full road equipment, however this could be increased to 135bhp when prepared for competition use with the aid of the HRC race kit. 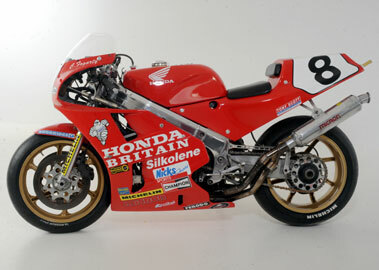 The investment made in the models development was vindicated in its first season when Fred Merkel secured the Superbike World Championship in 1988, repeating the success in 1989. 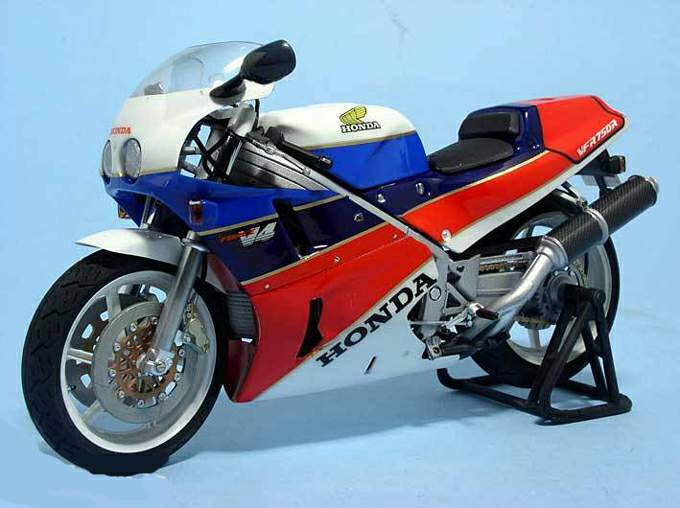 The new model instantly became one of the most sought after road bikes, receiving praise from all those who tested it, although its high price and limited availability ensured that those lucky enough to acquire one joined an exclusive club envied by others, today the RC30 remains as desirable as it was twenty years ago. 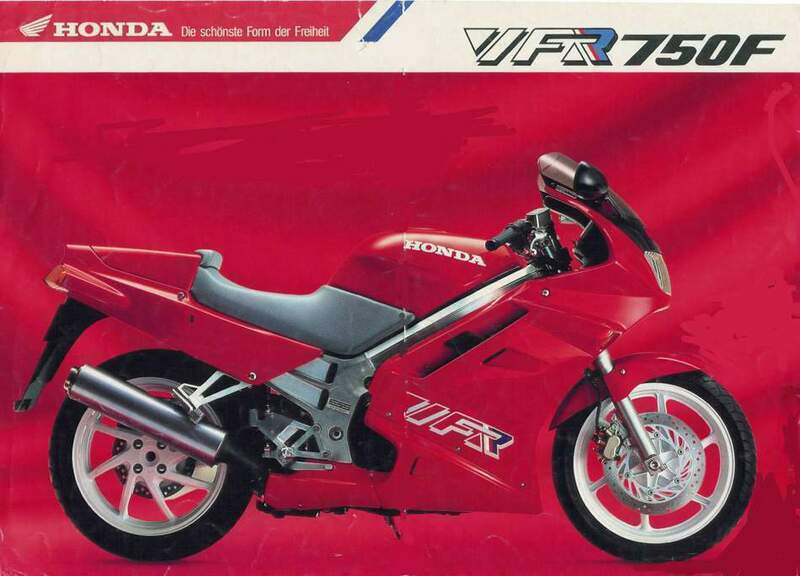 1986 Honda VFR 750F-G This model dropped 49 pounds off the (VF700/750F) weight at 215.9 kg (476 lbs). Honda claimed 105 Hp. The weakest part of the package were the 37mm forks with wimpy springs. The forks still had TRAC mechanical anti-dive mechanisms. This bike needed a fork brace and progressive springs before it left the showroom. 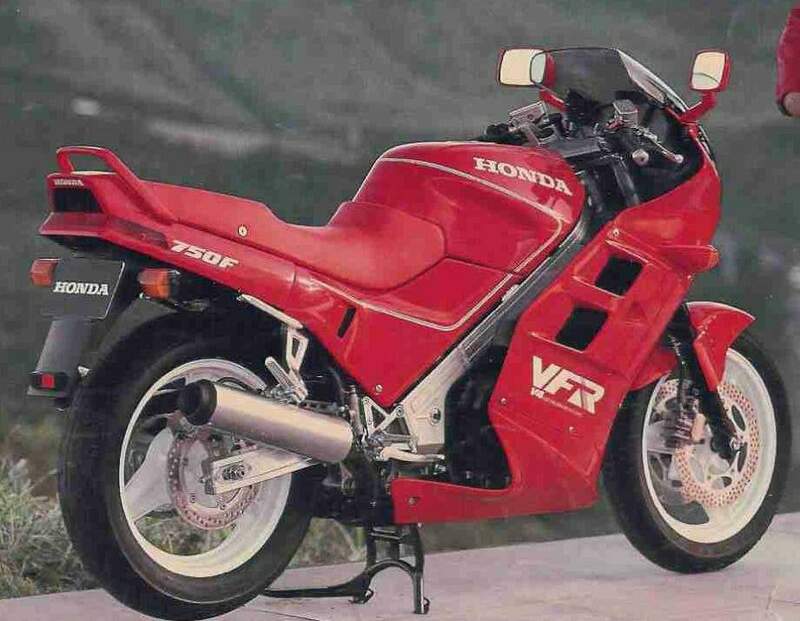 The RC30 - also called the VFR750R, but everyone referred to it by its factory code name -was based on the all-conquering full-factory RVF750 Endurance and F1 bike. 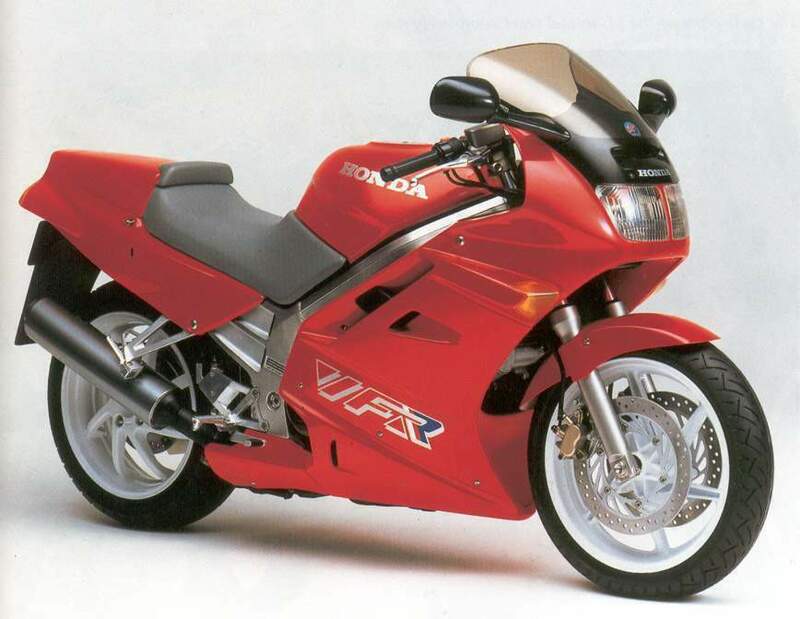 When F1 gave way to World Superbikes, one-off bikes like the RVF were no longer eligible, so the RC was designed from the start as a limited edition road bike, intended to sell just enough to qualify for World Superbikes. Crucial parts - such as chassis, engine casings and carbs can't be changed under WSB rules, so they needed to be ready to race. 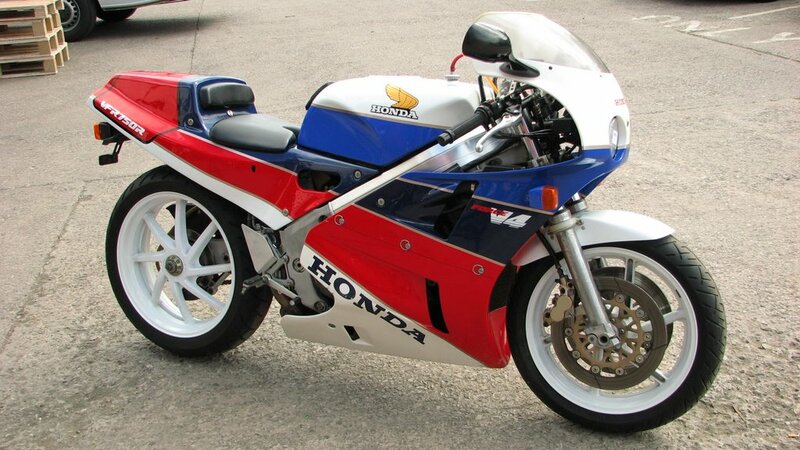 In other areas, Honda were free to concentrate on making the RC30 reliable and user-friendly for the road, knowing that those parts could be changed for racing if necessary. 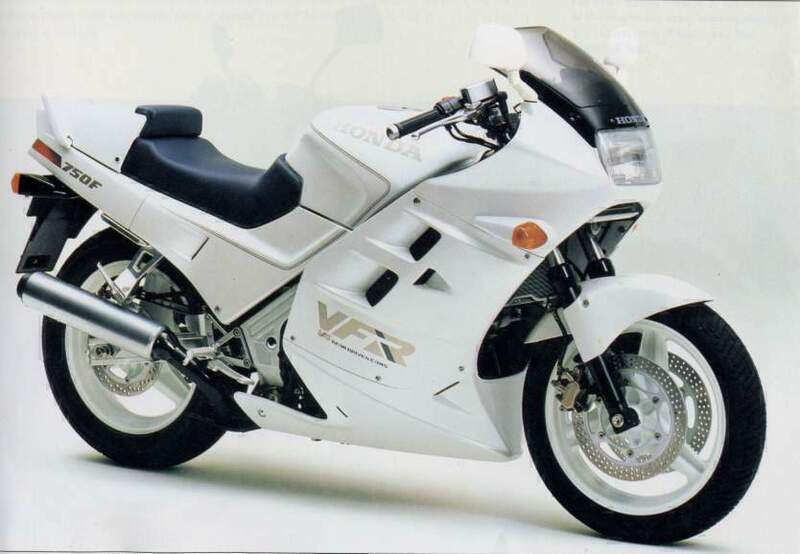 The RC's V-four is a superb road engine. It's smooth, extremely powerful and very reliable. 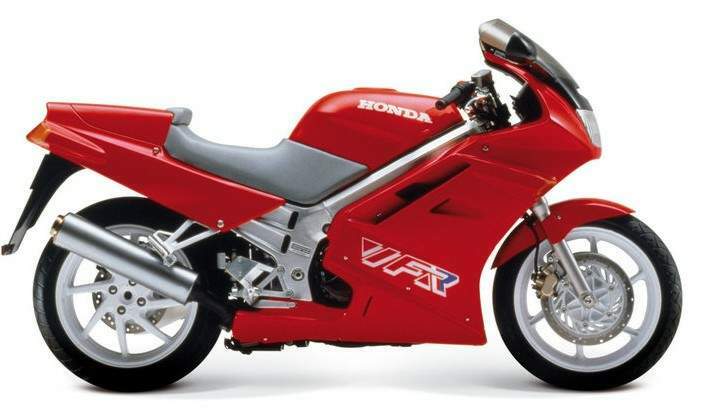 It's also instantly recognisable - you can't mistake the sound or feel of a Honda V-four, whether you're sitting on a standard RC30 blipping the throttle, or sitting by the side of the TT course listening to a tuned example on full throttle. On the road, even first gear on the RC's close-ratio box is enough to take you to 80mph, so full load in top gear isn't something the RC has to put up with very often. 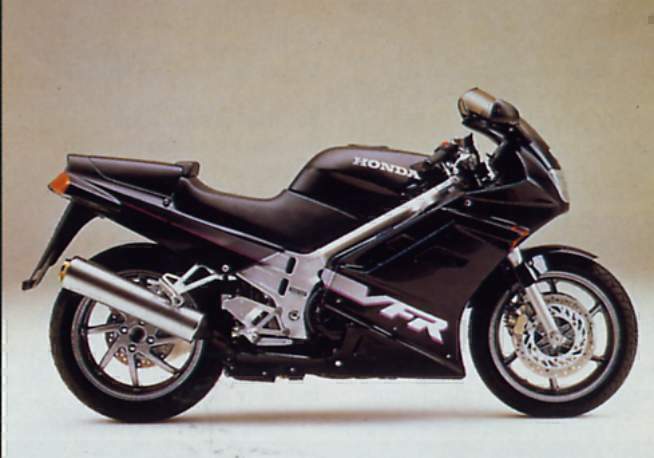 Liquid cooled, four stroke, 90°V-four cylinder, DOHC, 4 valve per cylinder. Pro-link single sided swingarm, preload and rebound damping adjustable, 130mm wheel travel. 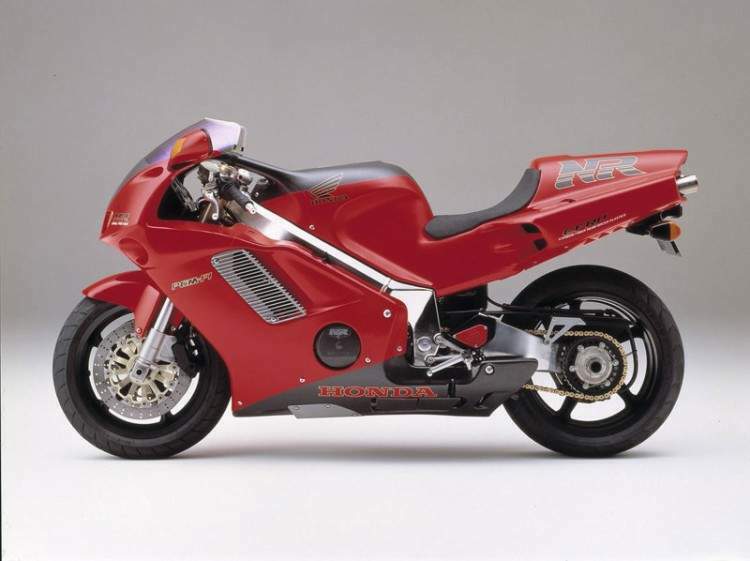 Honda RC30 marked a huge leap forward in Japanese motorcycle design. 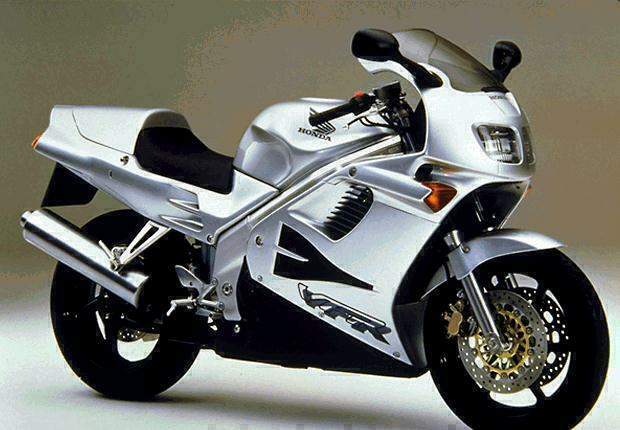 It was the first Japanese bike to rival the beauty and build quality previously the domain of exotic specialists like Bimota. When it hit the market in 1988 the press were in danger of running out of superlatives. 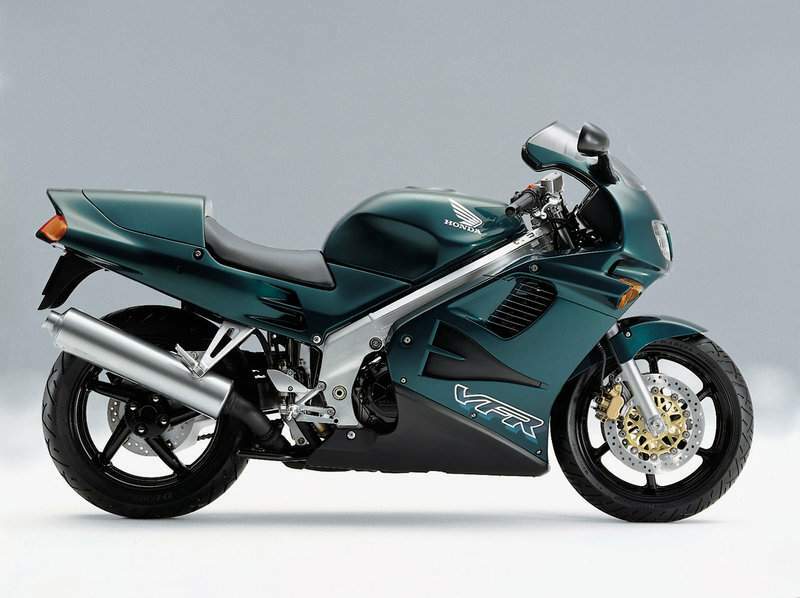 Dealers soon ran out of bikes to sell to the well-heeled enthusiasts who queued up to spend twice the price of a Suzuki GSX-R on the most talked-about bike for years. And the talk was certainly no exaggeration. The RC30 combined the light weight, quick steering and fantastic rider feedback of a race bike with excellent ride quality, reliability and perfectly stable behaviour on even the most indifferent road surface. 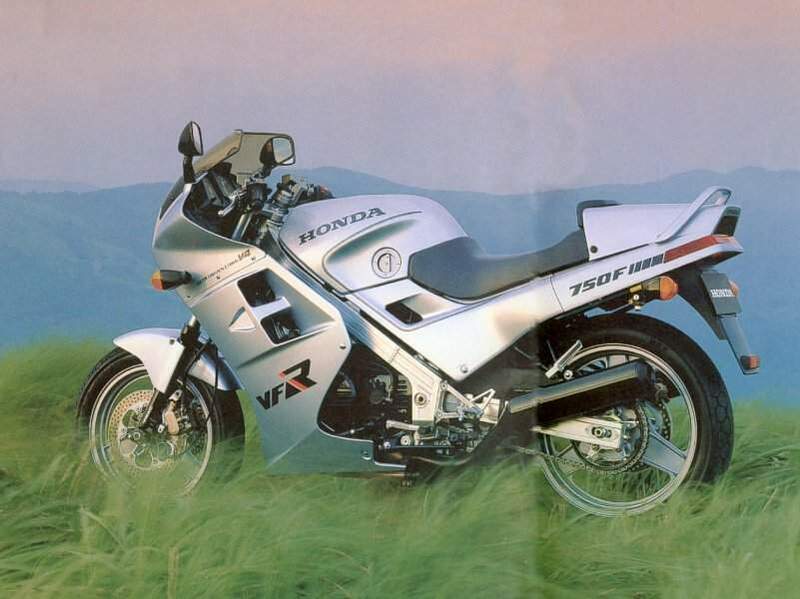 1989 Honda VFR 750F-J Changes in '88-89 European models were mostly bodywork. 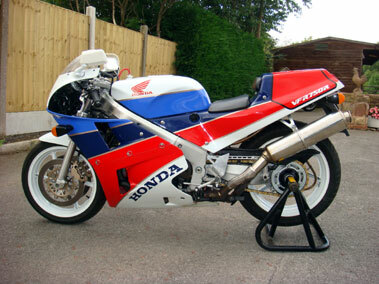 Plastic from an '86-87 (two-part fairing) will not fit on an '88-89 (three-part fairing). The intsrument panel is different and so are the controls on the handlebars. Windshield was changes as well (the '88-89 has an adjustable windshield; two fixed positions - not motorized). The turnsignals are different. Mufflers are polished instead of black. 17" wheels front and rear. No major change in the engine or chassis. 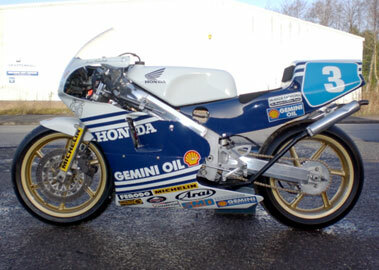 ex-Carl Fogarty F1 TT & Senior TT winner. Image kindly provided by www.classic-auctions.co.uk. 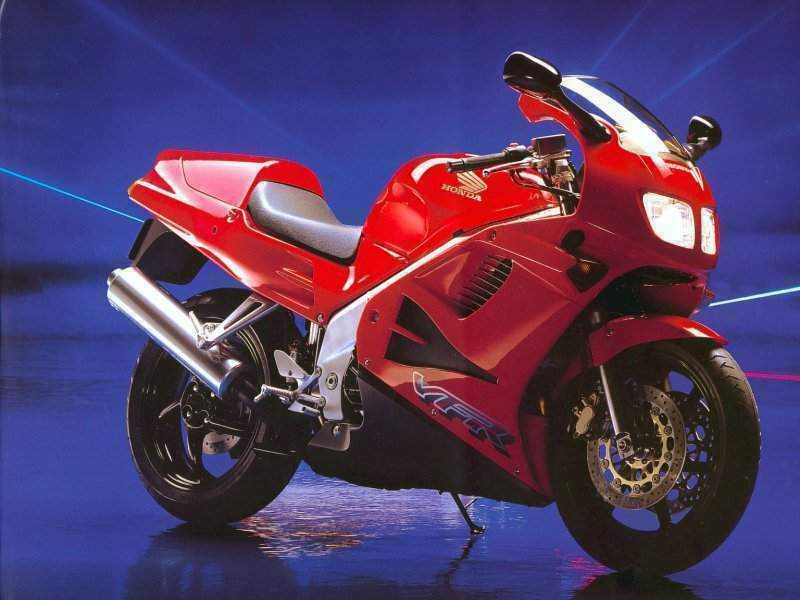 1995 Honda VFR 750F Honda claims to have made some "300" changes to our beloved VFR. 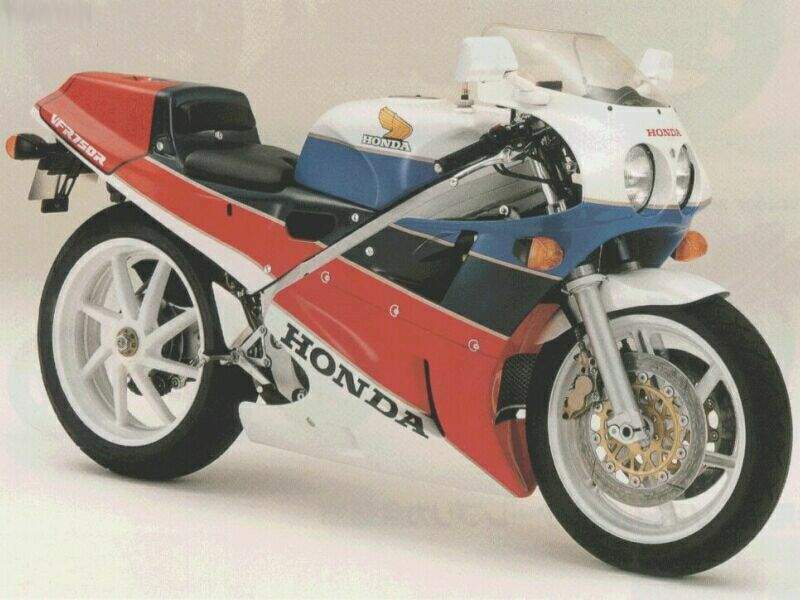 The new bodywork is "Styled" after the NR750 (Honda's Oval Piston Wonder bike) U.S. D.O.T. has "Seen the light" and mounted the rear turn signals are where God (or at least Honda) intended them to be (in the bodywork).